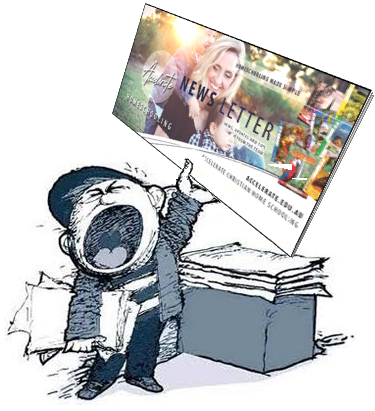 Our newsletters are produced monthly for members and friends of Accelerate Christian Home Schooling. We welcome your feedback. Email us with suggestions or comments. Click the Newsletter issue date below to link to the archived newsletter. The newsletter will open in a new tab or window. You may need to scroll down to the item. Many of our announcements, notes and hints & tips are now available permanently from the Member Area. You will need to log in to see them.